• Transfer Data between Devices. • Transfer Data to a Computer. 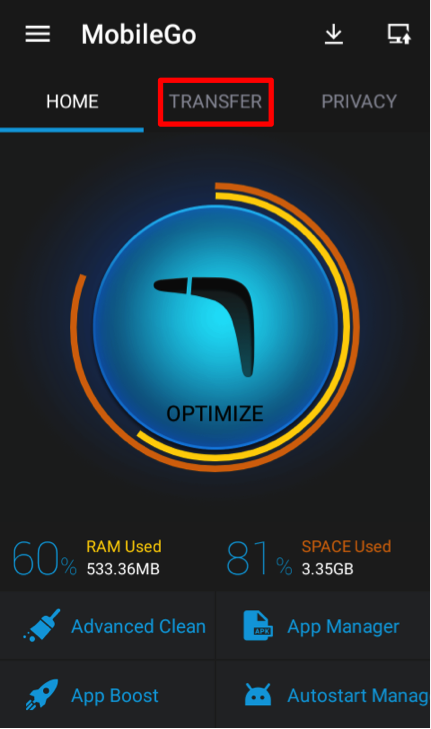 • Recover Data on a Phone. • Erase Data from a Phone. • Manage Contacts, SMS, Music, Photos, & More. The computer installation cannot occur until MobileGo has been installed and opened on the device or phone. First, complete the device install. Then follow the steps below to add MobileGo to your computer. Before MobileGo can be used on your Mac or Windows computer, a couple of tasks must be performed. First, install MobileGo on the device and then open the utility. 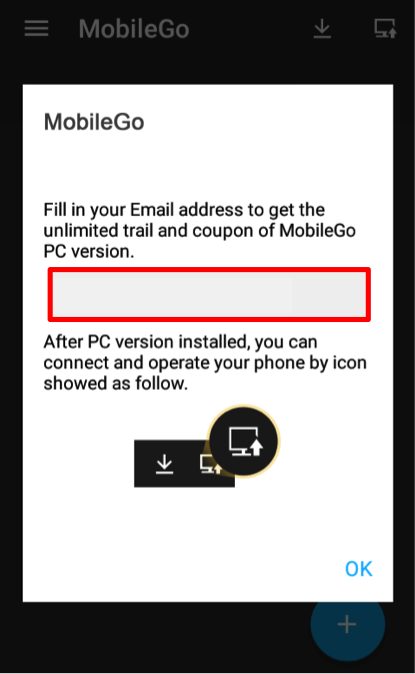 Enter your email address to receive a free trial download for MobileGo that can be installed on the computer. Enter your email address to receive an email containing the download links for both Mac and PC. Click on the appropriate link in the provided email to download the install. Then follow the provided steps to finish. Note: The free trial for MobileGo on Mac or Windows will expire after a specified number of days. After a successful install on both the phone and computer, open the utility on your computer and connect the phone or device. MobileGo will appear as shown below when installed on Mac OS X. • Content Transfer Between Devices – Contacts, videos, images, and more can easily be transferred to another device or straight to the computer. • Erase Private Data – A deleted piece of data remains on the phone or device until it is overwritten. MobileGo can be used to permanently remove this information to ensure it is not recoverable at a later time. • Device Cleanup – MobileGo may also be used to clean the device and remove any junk files (cache, etc.) that are taking up needed space. • One-Click Root – Apply one-click root to bypass the user permissions of Android devices and gain more freedom for application installs or other tasks. • Manage Data from Your Computer – Install MobileGo on both the device and a Mac or Windows computer to remove or add files. Files may be exported to another device or the computer. An option is also provided for importing contact information. 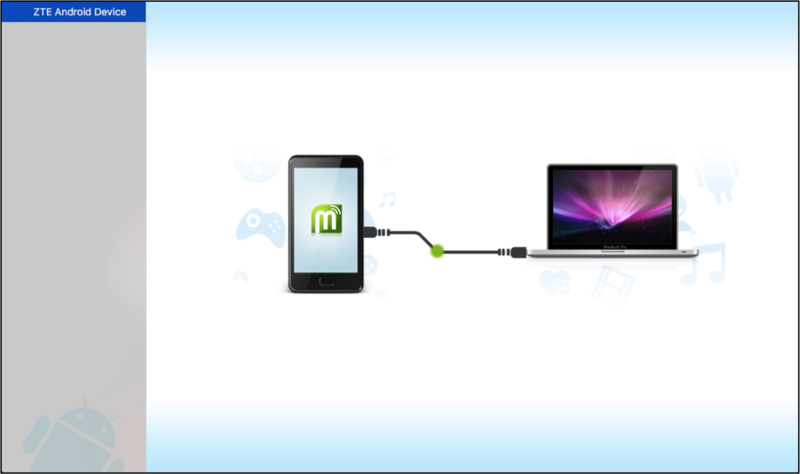 • Data Recovery – MobileGo is able to recover any lost data on an Android or iOS mobile device (a small fee does apply). As you can see, MobileGo offers an extensive set of features focused on meeting data management needs for more than 3,000 types of phones and devices. It can also perform these actions between different carriers. Whether you need to transfer data, backup the device, or simply manage everything from one spot on your computer, MobileGo offers a sensible, easy-to-use solution. 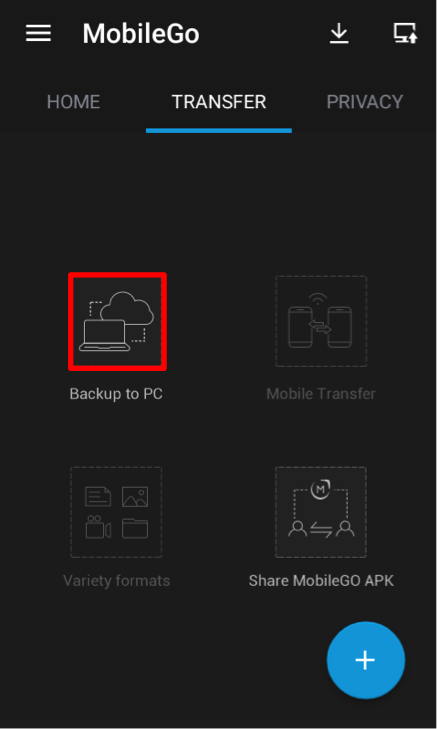 If MobileGo has been installed on a Mac computer, the following steps can be used to create a backup file for the connected device. On the main screen you will see an option titled Backup along with the last backup date. In this example, a backup has never been performed. 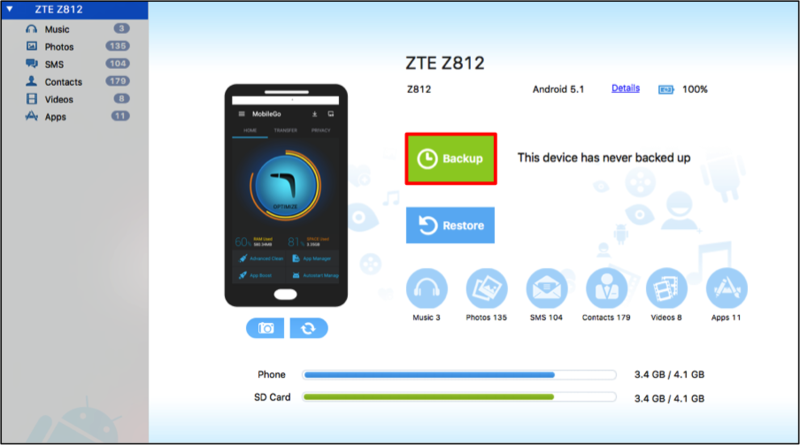 To backup your phone or device, first click on Backup. 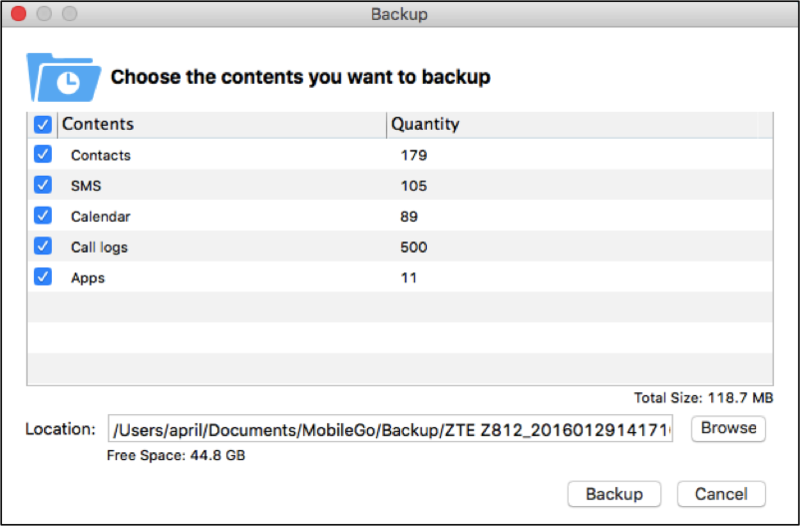 MobileGo will select every available data type for backup, as displayed below. To change this, click on the checkbox next to each unwanted item to remove it as a selection. The Quantity of items to be backed up is shown to the right of each content type. A designated save location is also used to ensure the backup process is a success. 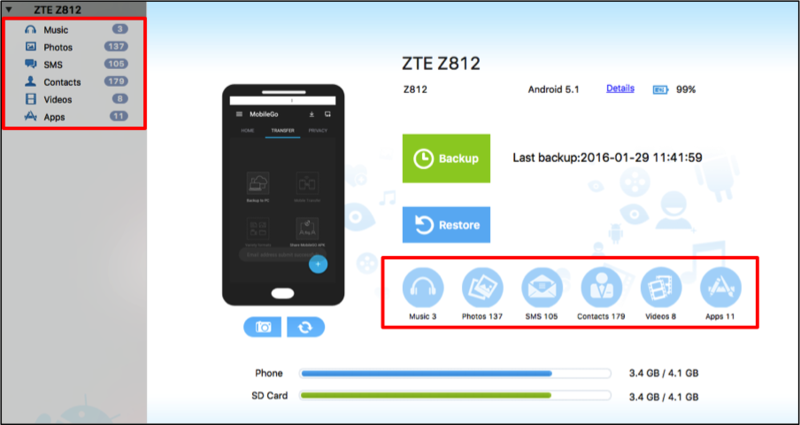 The location for saving the backup can be changed by clicking on Browse. After completing the backup configuration, click on Backup in the bottom right corner. The backup will begin automatically and be saved to the designated location. For MobileGo, this is Documents > MobileGo > Backup. If MobileGo has been installed on a Mac computer, the following steps can be used to restore a backup file to the connected device from the computer. On the main screen you will see an option titled Restore. To restore a backup file, first click on Restore. Select a backup file stored on the computer by clicking on the appropriate radial. 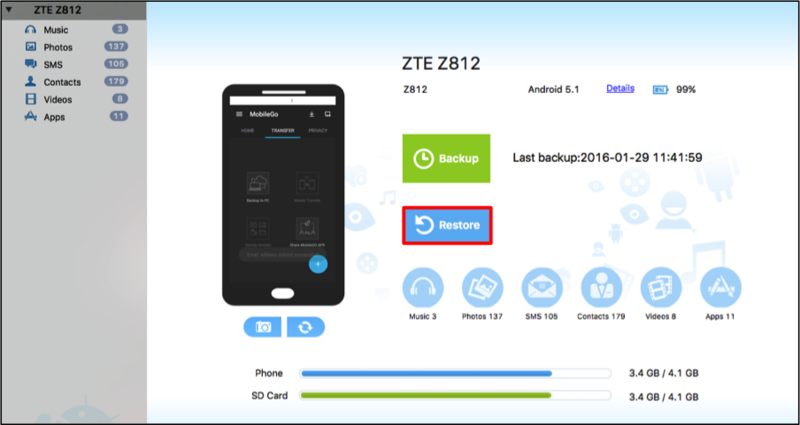 Then click on Restore and MobileGo will restore the chosen backup straight to the connected device. In the example shown below, Contacts will be restored to an Android smartphone. Note: Backups can be organized in another folder by clicking on the Add Folder option in the bottom left of the screen. 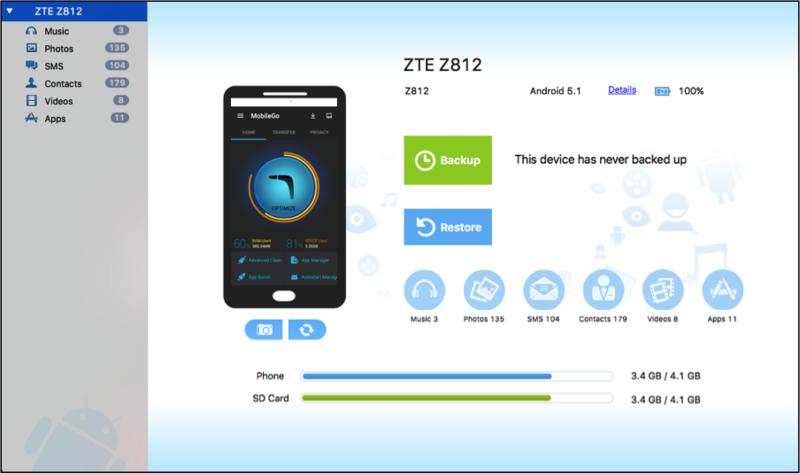 Besides being able to backup and restore data with MobileGo, you can also manage several types of data stored on the connected device from the computer. 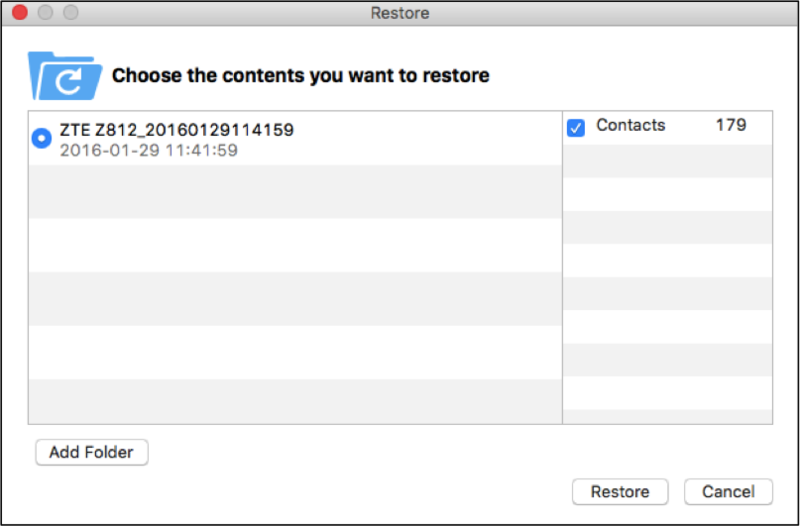 This can be done by clicking on an item in the tree view located in the left panel or by clicking on a displayed item below the Restore option. • Export to the Computer (or a device). These actions are available for several file types including music, photos, videos, and applications. To be able to see the Delete and Export options, at least one item has to be selected in MobileGo. The SMS selection in the tree view offers additional options for managing messages on the device or phone. After a message has been selected, you will be able to save it as a file or mark unread messages as “read”. Use the Refresh option to see any new items that may have been added to the device or phone. To export files to your computer, you will need to select the desired files and then click on the Export option. In this example, five contacts will be exported to the computer. After clicking on Export, you may enter a Name for the file and configure a save location. Click on Save to finish. The selected files will be saved to the location you have chosen and can then be viewed from the export destination. An additional option is provided in MobileGo when viewing contacts stored on the connected device. The Import option may be used to import contacts to another phone or device by choosing an available export file. Browse to and select the contact export file. Then click on Open to finish the import. Download the free trial today on your device and follow the tutorial to set up MobileGo on your Mac or Windows computer!